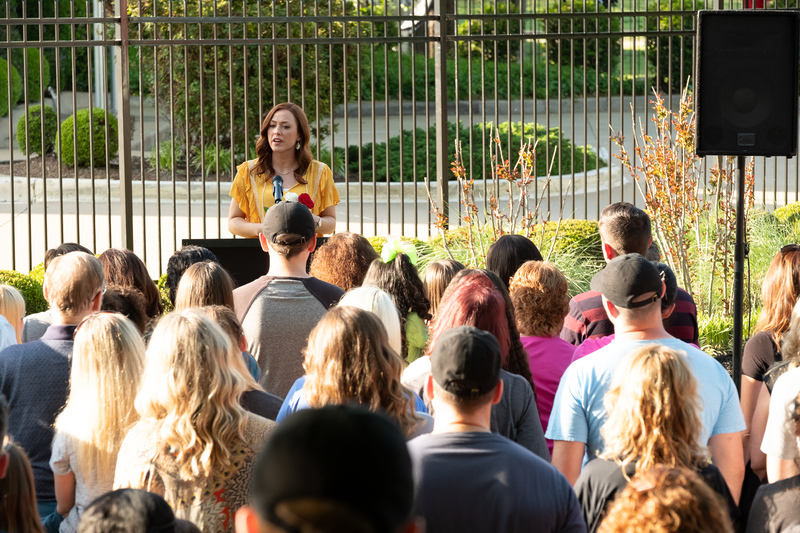 As previously reported, PureFlix anticipated an opening weekend of $2-3 million for their pro-life drama Unplanned. That was in-line with what industry analysts predicted and would have been about the amount of the last God’s Not Dead movie, which performed the lowest of the trilogy. According to Forbes, Unplanned brought in $2.72 million just on Friday. It earned $1.5 million in previews (700k from standard previews and ~800k from private buyouts). Forbes and BoxOfficeMojo currently predict Unplanned to top a $7 million opening for the weekend, which would put the film just below the opening weekend grosses for the first two God’s Not Dead movies, the first of which opened at $9.2M and the second at $7.6M. It would also mean the largest opening for PureFlix in three years, as that’s when God’s Not Dead 2 was released. That film, however, opened in 2,419 theaters. Unplanned only opened in 1,059 theaters, making the results even more impressive. Unplanned is now playing. It has a budget of $6 million and is expected to be sold to a number of international distributors, as previous PureFlix movies have been. I LOVE this Matthew West song, Unplanned! Just beautiful!